The Night Vision Device PVS-14 3rd gen BVND SINGLE GAIN WHP (whp IS THE HIGHEST RATED TUBE) has been redesigned to be lighter while increasing performance. This dual tube night vision goggle now operates with a single gain control knob, which the user can adjust the tube brightness (gain) lower to compensate for overly bright conditions or to increase the gain under extreme dark conditions. icing night time situational awareness. To use as a binocular, rotate both sides down or when night vision is no longer needed, shut off and rotate both sides up and out of the way. 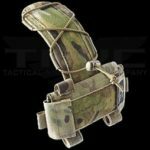 Never before could you utilize the depth perception of a collimated dual tube goggle and the convenience of a monocular in one system without switching equipment. 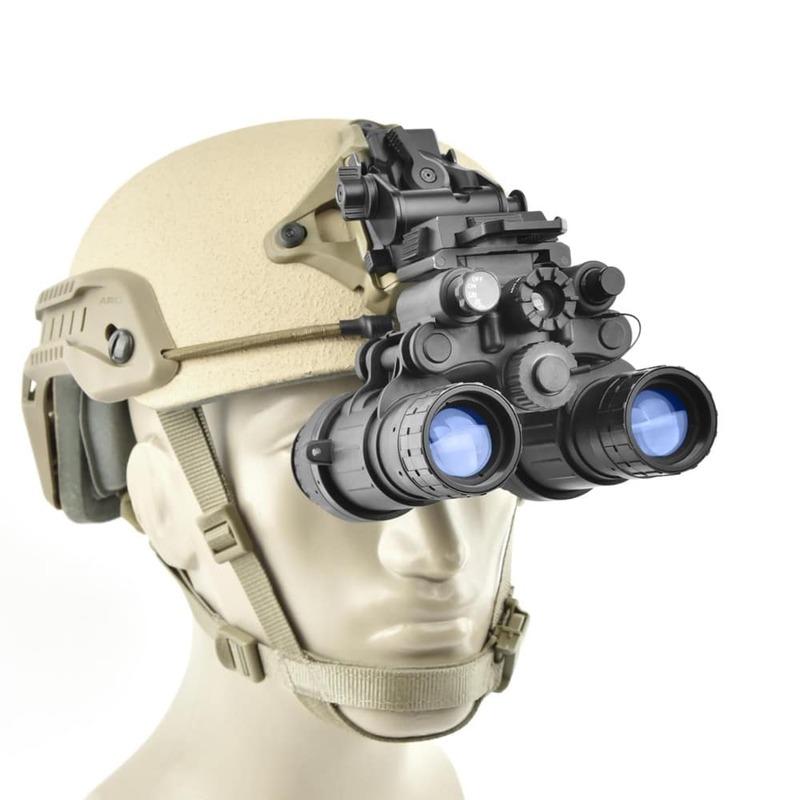 The NVD-BNVD-SG utilizes MIL SPEC optics and features a flip up turn off with flip down turn back on function, when used in conjunction with a helmet mount. Focus length adjustment parameters of the BNVDG provides end users the ability to quickly identify a faulty rifle discharge and ability to read a map in full night vision use. Power for the NVD-BNVD-SG is supplied via one AA battery for up to 30 hours of continuous use. The system is also fully submersible up to 66 feet. The NVD-BNVD-SG also uses standard AN/PVS-7B/D and PVS-14 parts and accessories for simplified in-the-field supportability. 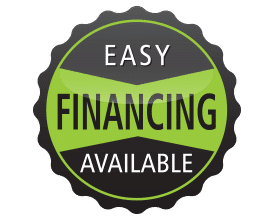 These parts include demist shields, sacrificial windows, LIFs, lens caps, eyecups, neckcord, soft case, head or helmet mount, IR spot/flood lens, 3X magnifiers & compass assembly. 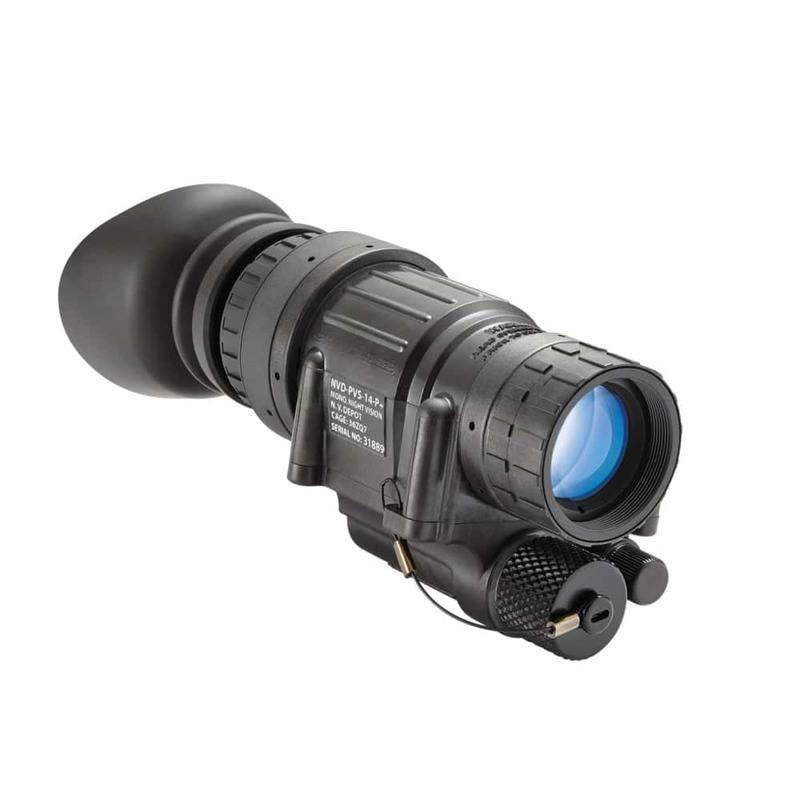 The NVD-BNVD-SG utilizes MIL SPEC parts and accessories and is built with either Commercial, MIL GRADE or MIL SPEC ITT/Exelis GEN III Pinnacle Auto Gated image intensifier tubes. Best of all with all the added features the BNVD-SG is still substantially lighter than the AN/PVS-7 single tube goggle! Standard Accessories: Soft Carry Case, AA Batteries (2), Operators Manual, Neckcord, Objective and Eyepiece Lens Caps, Eyecups, Lens Tissue, Demist Shields, Sacrificial Windows and IR Flood/Spot Lens Assembly, Operator’s Card, and Dovetail Mounting Adapter. Optional Accessories: Hard Case, 3X Afocal Magnifier Lens, Magnetic Compass, Helmet Mount PASGT (PVS-14/7D PN A3256368-1), MICH Helmet Mount (PN A3256368-2), Shuttered Eyeguards, Camera Adapter Kit, Light Interference Filters (For DOD Only), and Battery pack for 50-60 hours of continual use for extended missions.